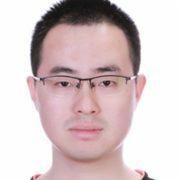 Fangzhao Wu is now an associate researcher at Social Computing (SC) group, Microsoft Research Asia. He joined MSRA in 2017. His research mainly focuses on natural language processing, user profiling and social media mining. He has published several papers on conferences and journals in NLP and data mining areas, such as ACL, AAAI, SIGIR, WSDM, CIKM, ICDM and TKDE. Fangzhao Wu received the Ph.D. and B.S. degrees both from Electronic Engineering Department of Tsinghua University in 2017 and 2012 respectively. 2/2019: Our paper “Review Rating Prediction with 3-Tier Attention Network” is accepted by NAACL 2019. Congratulations to Chuhan and all the collaborators! 1/2019: Our paper “Neural Chinese Named Entity Recognition via CNN-LSTM-CRF and Joint Training with Word Segmentation” is accepted by WWW 2019. Congratulations to Junxin, Chuhan and all the collaborators! 1/2019: Our paper “Neural Chinese Word Segmentation with Lexicon and Unlabeled Data via Posterior Regularization” is accepted by WWW 2019. Congratulations to Chuhan, Junxin and all the collaborators! 1/2019: Our paper “Neural Review Rating Prediction with Hierarchical Attentions and Latent Factors” is accepted by DASFAA 2019. Congratulations to Hongtao and all the collaborators! 11/2018: Our paper “DRr-Net: Dynamic Re-read Network for Sentence Semantic Matching” is accepted by AAAI 2019. Congratulations to Kun and all the collaborators! 10/2018: Two of our papers are accepted by WSDM 2019 as long papers. Congratulations to Chuhan, Junxin and all the collaborators! 10/2018: Our paper “Semi-supervised Dimensional Sentiment Analysis with Variational Autoencoder” is accepted by Knowledge-Based Systems. Congratulations to Chuhan and all the collaborators! 08/2018: Our paper “Neural Sentence-level Sentiment Classification with Heterogeneous Supervision” is accepted by ICDM 2018. Congratulations to Zhigang and all the collaborators! 08/2018: Our paper “Image-Enhanced Multi-Level Sentence Representation Net for Natural Language Inference” is accepted by ICDM 2018. Congratulations to Kun and all the collaborators! 08/2018: Our system ranked 1st in the first and third shared tasks of Social Media Mining for Health Applications (SMM4H) Workshop! 08/2018: Two of our papers are accepted by CIKM 2018 as short papers. Congratulations to Chuhan, Junxin and all the collaborators! 07/2018: Our paper “Automatic construction of target-specific sentiment lexicon” is accepted by Expert Systems With Applications. Congratulations to Sixing and all the collaborators! 06/2018: Our paper “Neural Chinese Word Segmentation with Dictionary Knowledge” is accepted by NLPCC 2018. Congratulations to Junxin and all the collaborators! 04/2018: Our system ranked 1st in the NAACL2018 shared task on Metaphor Detection! 02/2018: Our system ranked 2nd in the third shared task of SemEval-2018 on Irony detection in English tweets!